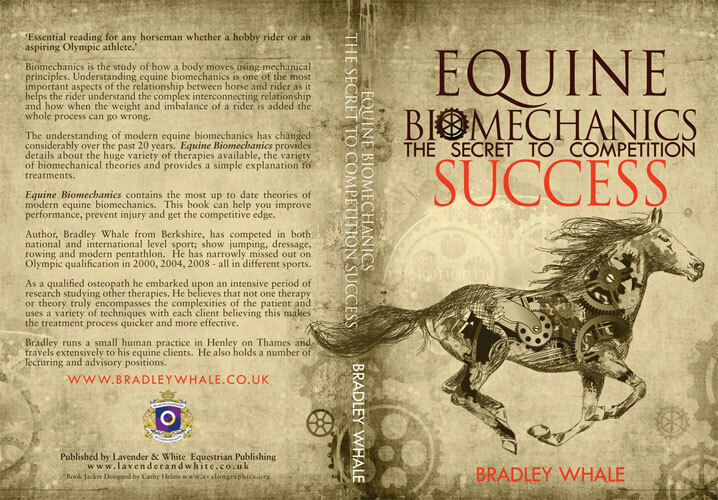 "Equine Biomechanics The Secret to Competition Success"
Understanding equine biomechanics is one of the most important aspects of the relationship between horse and rider as it helps the rider understand the complex interconnecting relationship and how when the weight and imbalance of a rider is added the whole process can go wrong.The development of the book came from the realisation that the theories which are used to train equine therapists and to explain equine mechanics do not include the rider and were not specific to the huge variety of equine specialities available. The result of his research, Equine Biomechanics, connects the unique relationship between the horse and its rider and how they interact to create a harmonious partnership whilst also developing theories which are specific to each equine speciality. This beautifully illustrated, easy to read book will help riders improve performance, prevent injury and get the competitive edge.